The fact that Christine is proud of Geelong's health and train services says it all really. There is nothing to be proud of at the moment! We NEED desperate funding for the Swanston and McKellar centres. We NEED to be protecting those that are vulnerable and that starts with ensuring that they have the services that they need. In terms of rail I’ve said it before and I will say it again- the trains are a joke they are reliably late you just have to look at V/Line geelong twitter page to see just how many services they have issues with everyday! Christine is proud of these services where as we see them as a disgrace. She won’t fix anything because she can’t even see what is broken! I have a vision for a 21st century modern city and there is no place for complacency. 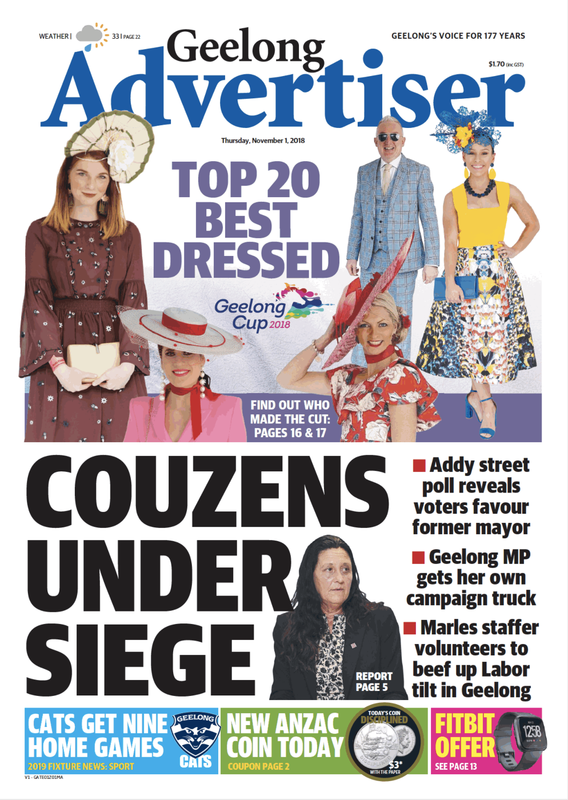 Geelong deserves better! We NEED action and we NEED it now!